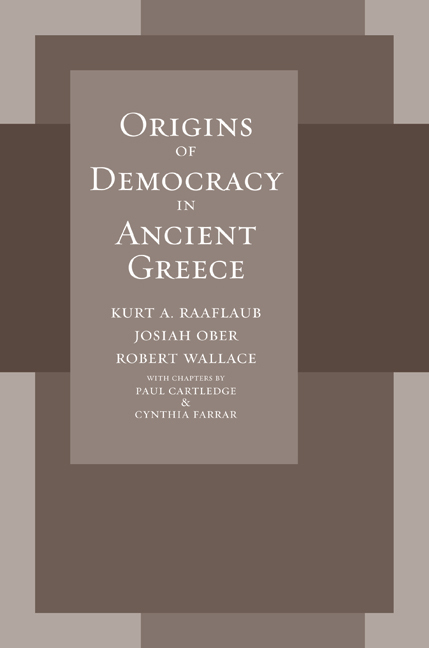 This book presents a state-of-the-art debate about the origins of Athenian democracy by five eminent scholars. The result is a stimulating, critical exploration and interpretation of the extant evidence on this intriguing and important topic. The authors address such questions as: Why was democracy first realized in ancient Greece? Was democracy “invented” or did it evolve over a long period of time? What were the conditions for democracy, the social and political foundations that made this development possible? And what factors turned the possibility of democracy into necessity and reality? The authors first examine the conditions in early Greek society that encouraged equality and “people’s power.” They then scrutinize, in their social and political contexts, three crucial points in the evolution of democracy: the reforms connected with the names of Solon, Cleisthenes, and Ephialtes in the early and late sixth and mid-fifth century. Finally, an ancient historian and a political scientist review the arguments presented in the previous chapters and add their own perspectives, asking what lessons we can draw today from the ancient democratic experience. Designed for a general readership as well as students and scholars, the book intends to provoke discussion by presenting side by side the evidence and arguments that support various explanations of the origins of democracy, thus enabling readers to join in the debate and draw their own conclusions. Kurt Raaflaub is David Herlihy University Professor and Professor of Classics and History at Brown University. His most recent book is The Discovery of Freedom in Ancient Greece. Josiah Ober is Constantine Mitsotakis Professor of Political Science and Classics at Stanford University. His books include Athenian Legacies: Essays on the Politics of Going on Together. Robert Wallace is Professor of Ancient History at Northwestern University and author of The Areopagus Council to 307 BC, among other books. Paul Cartledge is currently Professor of Greek History in the Faculty of Classics and Professorial Fellow of Clare College, University of Cambridge, and author of several volumes including Spartan Reflections (UC Press). Cynthia Farrar directs a project on deliberation and local governance at Yale’s Institution for Social and Policy Studies (ISPS) and teaches in the Political Science Department. She is the author of The Origins of Democratic Thinking: The Invention of Politics in Classical Athens.